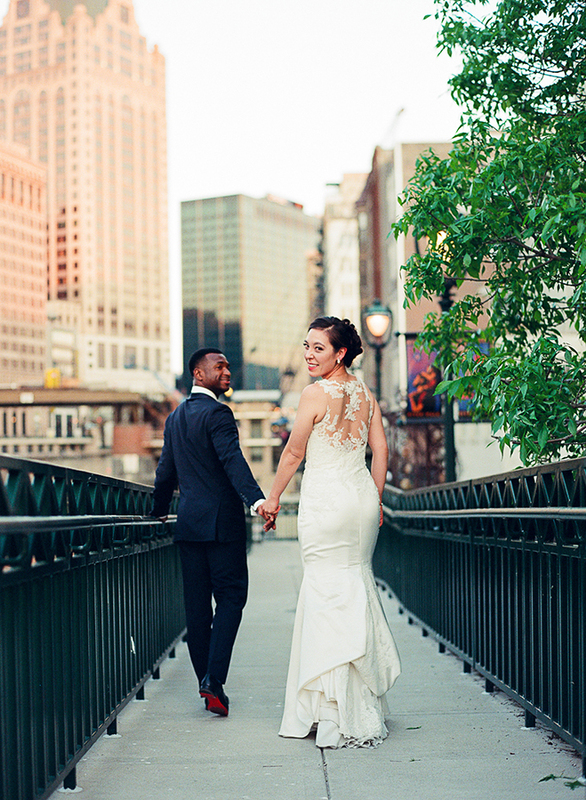 A little over a year after they met, Geoff Horton planned an intimate proposal to Ami Inoue. 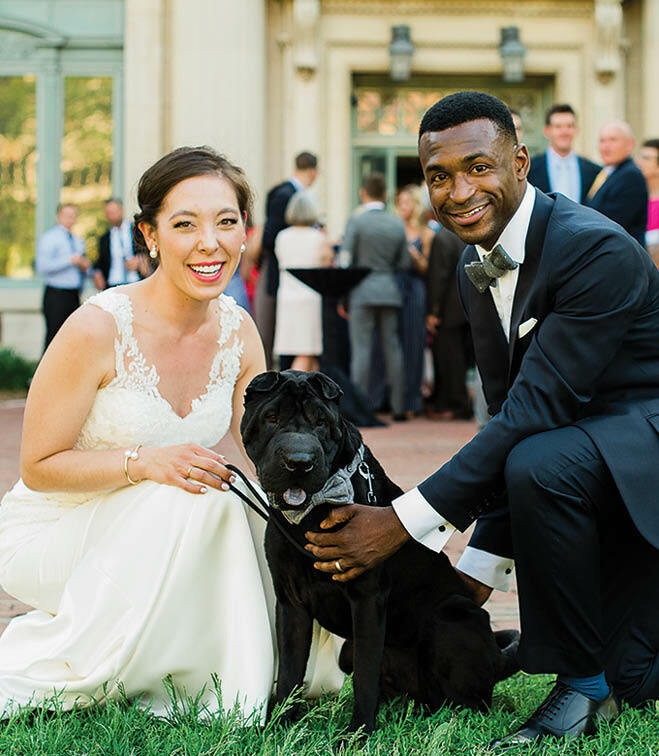 They were walking their dog, Wootie, after dinner when Geoff stopped, knelt on one knee and popped the question. 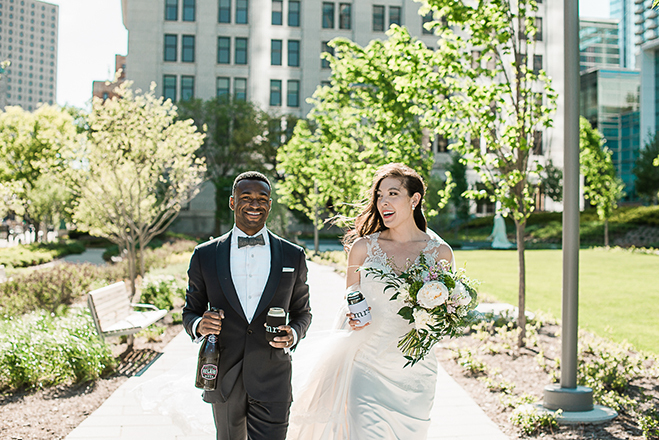 It made perfect sense that on their wedding day, Wootie made a surprise appearance at cocktail hour—in a bowtie that matched his dad’s, no less. 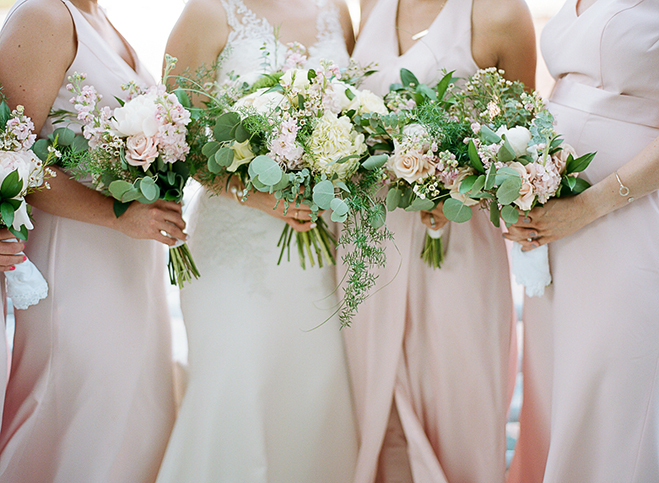 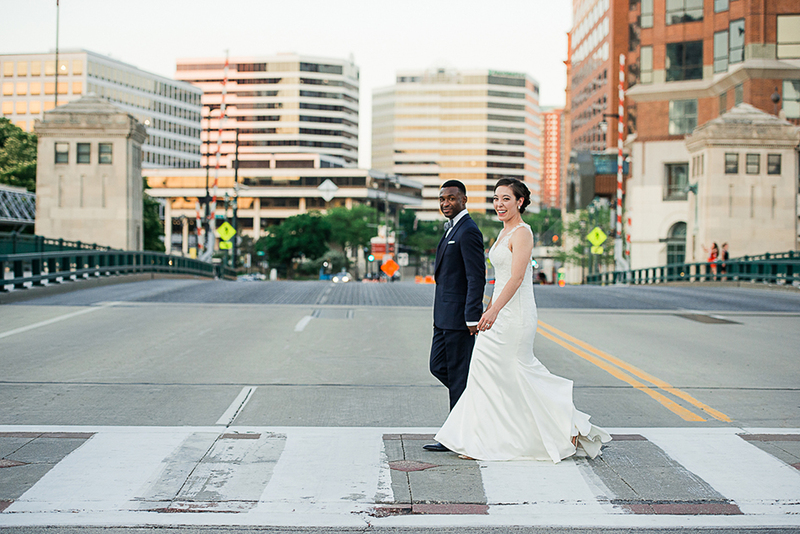 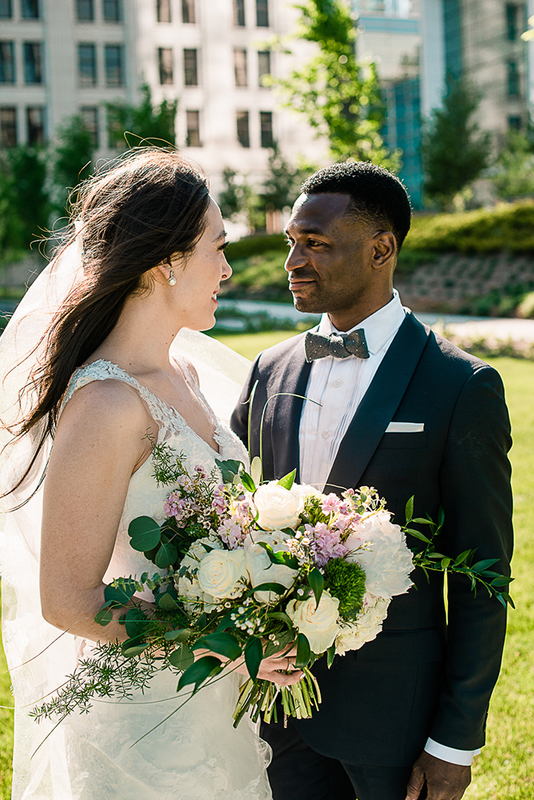 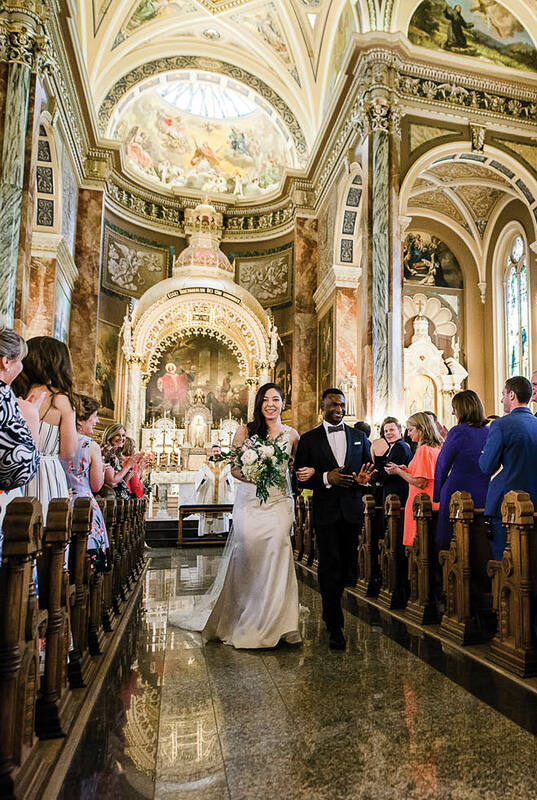 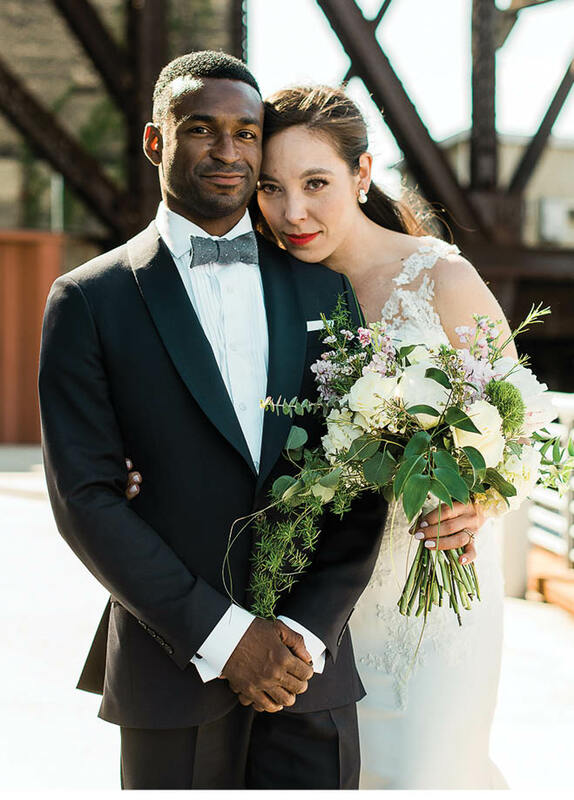 Everything about the couple’s big day was uniquely personal, starting with the music that filled the Basilica of St. Josaphat by a Milwaukee Symphony Orchestra string quartet and the Basilica choir. 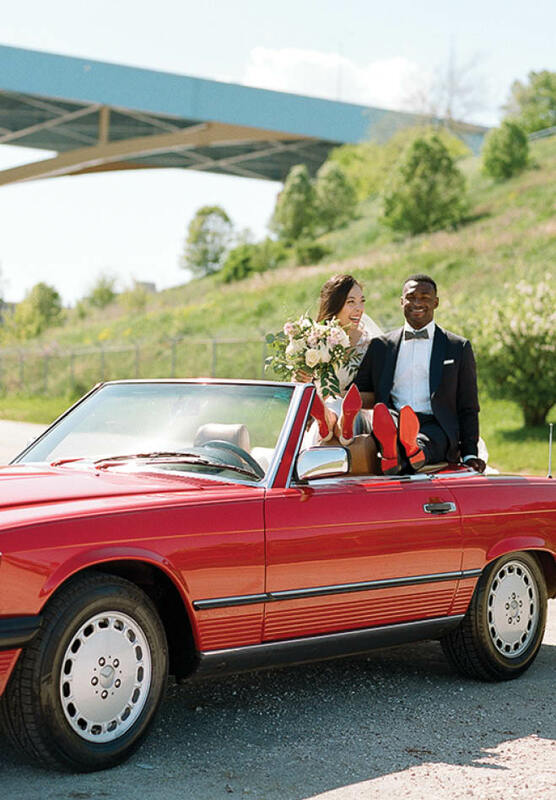 The couple left the church in a bright red 1986 Mercedes-Benz 560SL convertible, for a grand exit. 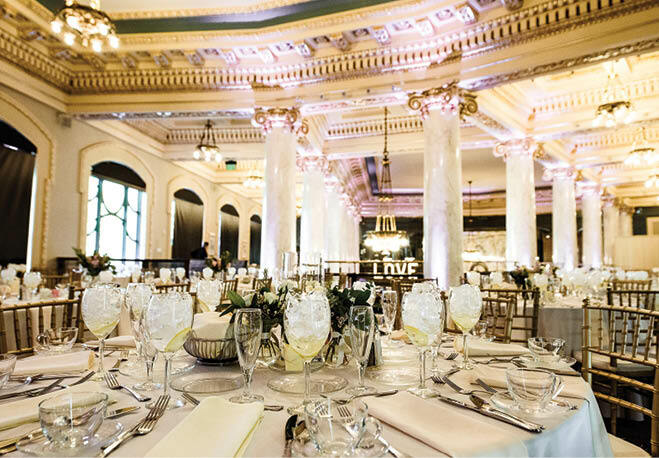 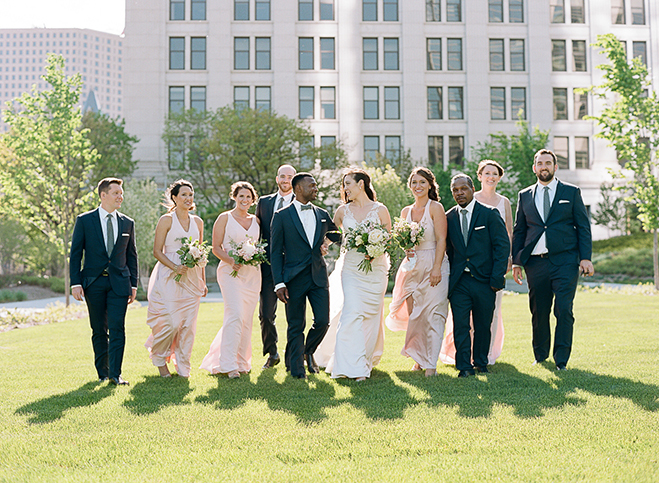 The reception was held at the Milwaukee County Historical Society, which boasts ornate interiors and a patio overlooking the Milwaukee River and downtown skyline. 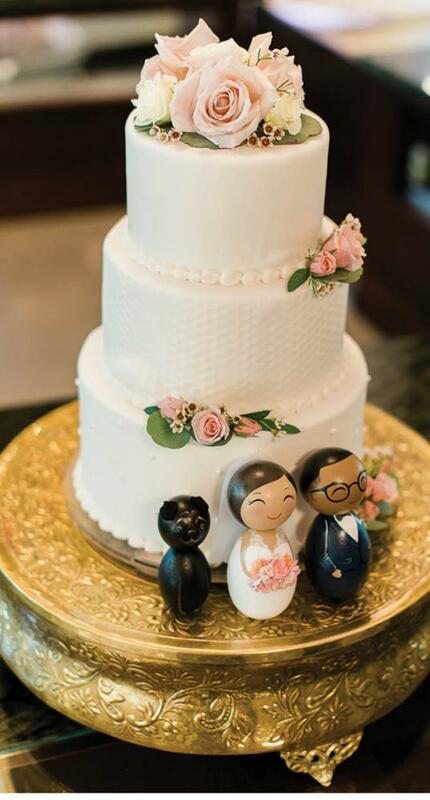 The couple paid homage to their love of bees throughout the day, from the custom crest on the invitations and seating chart to the honeycomb-textured cake layer. 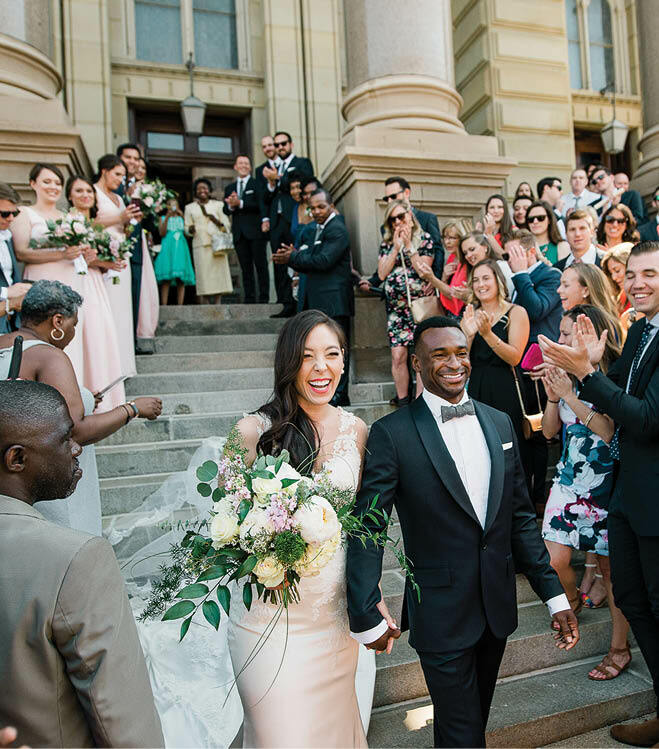 The couple made sure guests found their tables quickly, thanks to the lively strains of “Flight of the Bumblebee.” Their friends added to the hi-jinks when, to the couple’s surprise, they flooded the dance floor with giant cutouts of Ami and Geoff’s faces on Popsicle sticks.